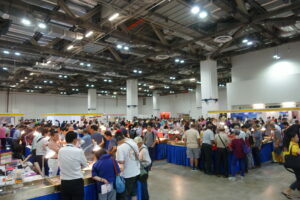 Imagine a coin fair where a young woman is among the visitors. She does not feel lost, since there are many more women before and behind the tables. First, she looks around for a while, then she makes a decision and puts down a rather large amount of money to buy the coin of her choosing. The feminist daydream of a female numismatist? No, this is reality in Singapore. 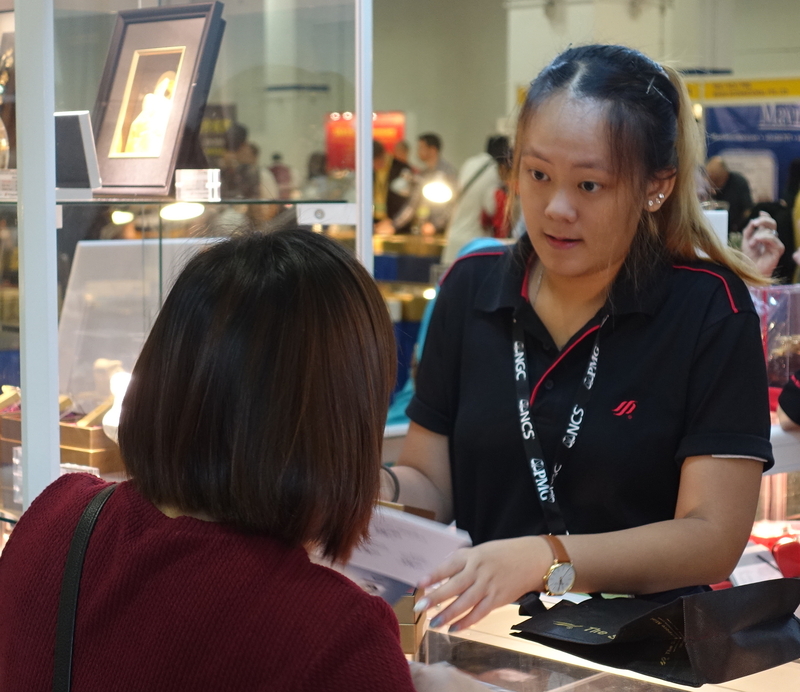 In the Western world, scenes like this are rare; at the Singapore International Coin Fair, they’re completely normal: women buying coins. Photo: UK. 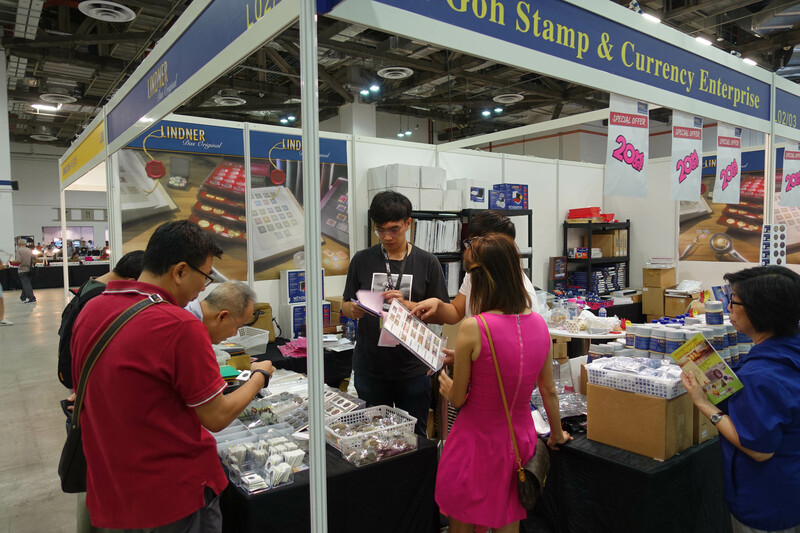 There are many ideas we need to let go of when it comes to coin collecting in Singapore. 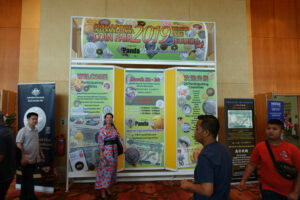 Of course, here as well, there are the knowledgeable, experienced collectors who have been buying coins for decades and know exactly how rare the item is they see on a dealer’s tray. 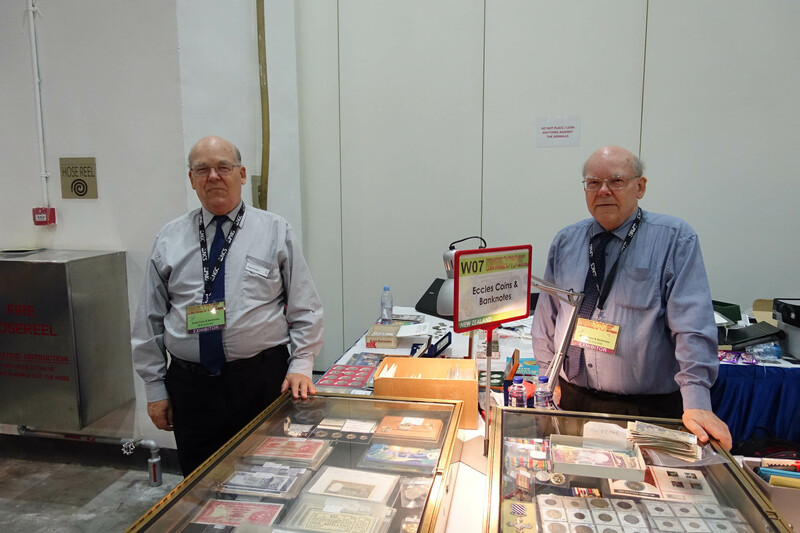 But there is also exactly what we’re missing at many European and American coin fairs: numerous new collectors who, attracted by a poster or a newspaper ad, simply wander around the exhibition hall. These people are enthusiastic to make a purchase, so looking around is often not the only thing they do. They like to seize the chance and go home with an especially attractive coin. Selfie in front of the coin fair entrance. Photo: UK. That’s politics. 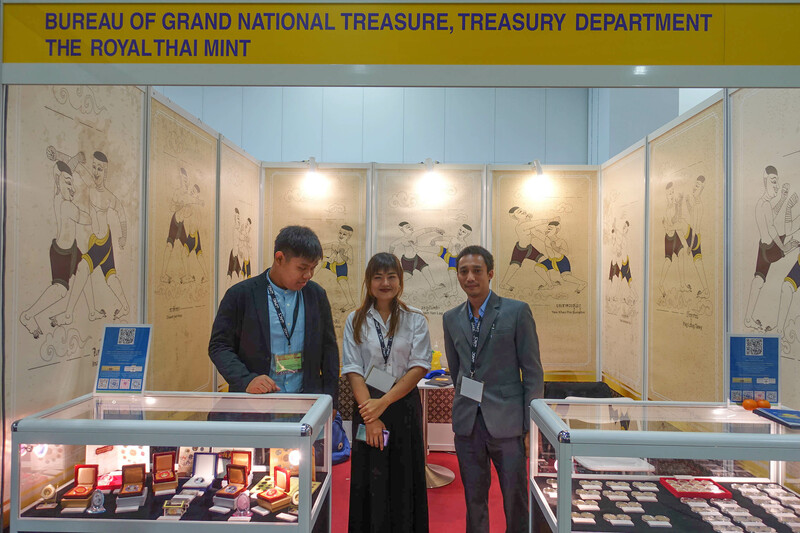 For Kitty Quan, organizer of the Singapore International Coin Fair, it is of high importance that especially the non-collectors are visiting the event, so that someday, they may fall in love with numismatics. Maybe it’s because she was a newcomer at one point, too. Today, Kitty is a numismatic heavyweight, even though she never lets it show. She is the CEO of Panda America, a US direct-marketing company for coins, based in Los Angeles. She searches and finds her customers mostly in Asia. It is her desire to show as many people as possible how exciting numismatics can be, which is why the entry to the Singapore International Coin Fair is free for everyone, which, according to Kitty, brings up to 9,000 visitors into the exhibition halls for each fair. 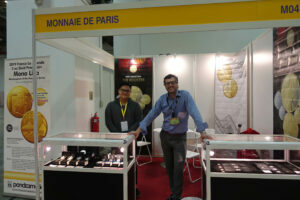 In front of the entrance to the Singapore International Coin Fair. Photo: UK. They discover an offer that is also quite unlike that at Western coin fairs. 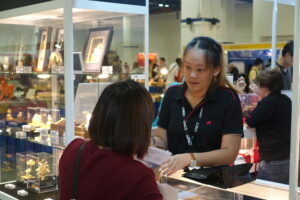 The exhibitors come from 24 nations, including such for our understanding exotic places like Brunei or Malaysia. 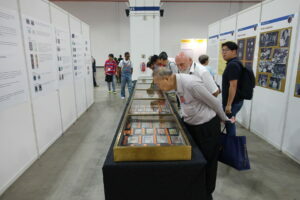 The exhibition organized by the Singapore Numismatic Association was dedicated to banknotes, too. Photo: UK. 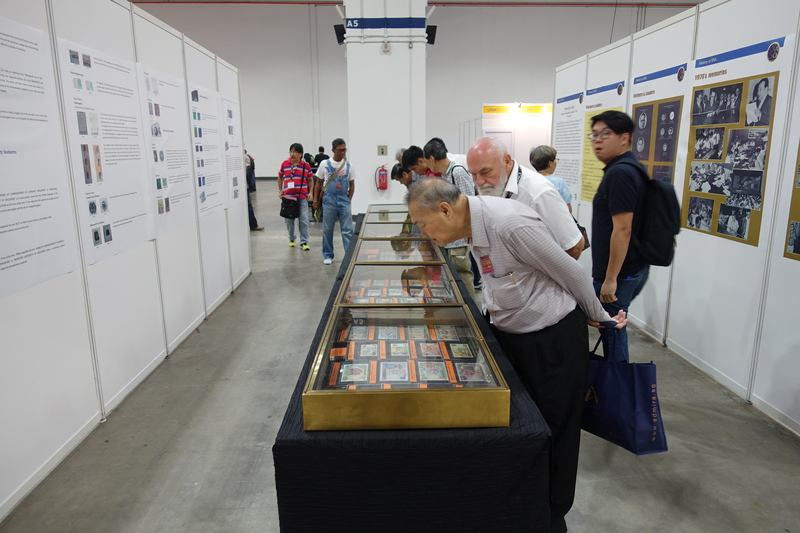 When you first enter the exhibition hall, you will be surprised by the plethora of banknotes set out on the tables. In fact, people here collect almost more bills than coins, which is good news for banknote dealers. Especially when they don’t just bring their great rarities, but also bills that show a lucky number. In Asia, these are a popular gift on special occasions, and are therefore sold with a nice premium. Looking into the convention hall. Photo: UK. Of course, there are the usual novelties. 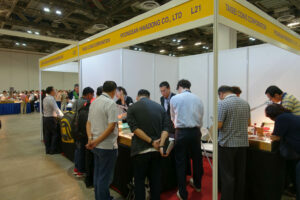 And you see a lot of dealers from the surrounding countries – Malaysia, Indonesia, Thailand, Cambodia and Vietnam – walking around the hall. They don’t speak English, but they have pictures saved on their phones of every new release they’re looking to buy. The price negotiations are done by means of a notepad where the parties take turns to write down their numbers. And these negotiations are fierce. Nobody is willing to pay the posted price. Denny Huhn from the German House of Coins. Photo: UK. When asked whether the long journey to Singapore is worth it, the dealers always answer in the affirmative: The profit margins are nice and high, and the demand is excellent if you bring the right material. Specialist for Swiss medals in Singapore: Marcel Häberling. 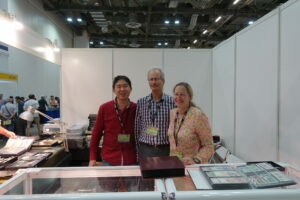 Here with long-term collector Keh, who is now a dealer himself and founder of the company Emporium Antiquities. Photo: UK. So, what IS the right material? Well, it certainly isn’t the unsightly numismatic rarity, but rather large attractive pieces that give the buyer hope of a value increase. Sellers definitely shouldn’t travel to Asia for the quick win, but instead for the careful and long-term building of their own clientele. Which is what Marcel Häberling, former president of the Verband Schweizer Berufsnumismatiker [Association of Swiss Professional Numismatists], succeeded in doing. For years, he has been traveling to Singapore and Hongkong, bringing along a rich selection of Swiss shooting medals. Over and over again, he explained to his customers how interesting these items are – and how cheap considering their beauty and rarity. These days, there actually are buyers for this category. And there is even a Singapore-based dealer who specializes in Swiss shooting medals, Mr. Keh, who started off as a collector and customer of Marcel Häberling’s, and is now a dealer himself and friend of the company. It is quite touching to read how, on his website, he explains to potential Asian buyers what the Schützenfest means to the Swiss. 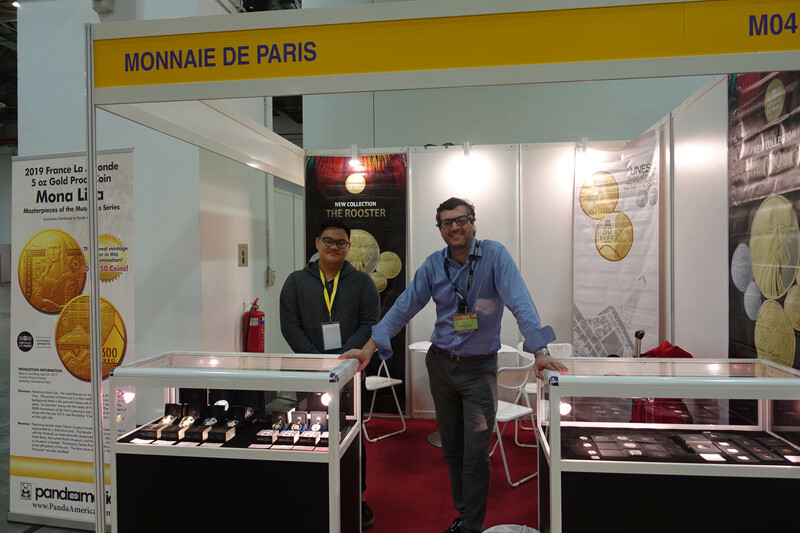 Rodolphe Krempp of Monnaie de Paris presents the French products at his stand, leaving the sales to his local dealers. Photo: UK. The only drawback is the fact that, in Singapore, coins that aren’t pure investment products are subject to Goods and Services Tax (GST) at 7%. For imported goods, it must be paid in advance. If you’re a little afraid of Singaporean authorities, rest assured that all your questions will be answered in perfect English, absolutely correctly and in the interest of the “customer”. Kitty Quan and her team, the organizers of the fair, are happy to help with all administrative matters. 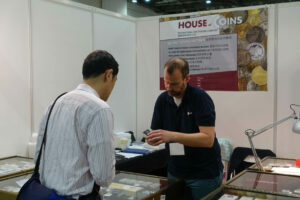 The joint stand of the Japanese coin dealer and auction house Taisei and the Korean equivalent, Poongsan Hwadong. Photo: UK. 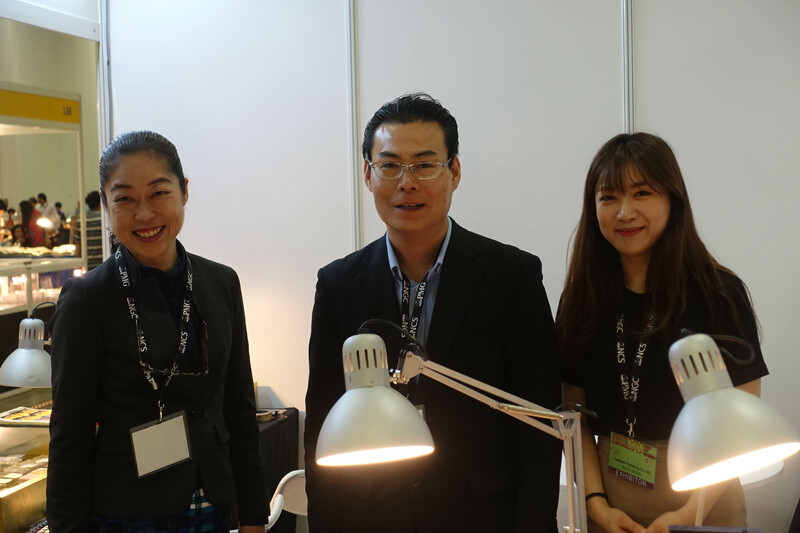 In return, the dealers who come from afar get the chance to connect with collectors and colleagues they don’t meet regularly at European and US fairs. For example, the traditional Japanese coin dealer Taisei had a stand together with the Korean equivalent Poongsan Hwadong, a coin dealer and auction house which was bought by the well-known blank producer Poongsan in 2012. We know the name Poongsan because many Euro coins were minted on their blanks. The Taisei team, Photo: UK. I can only say thank you to my new friends from Singapore, Korea and Japan for the hospitality with which they welcomed me in Singapore. 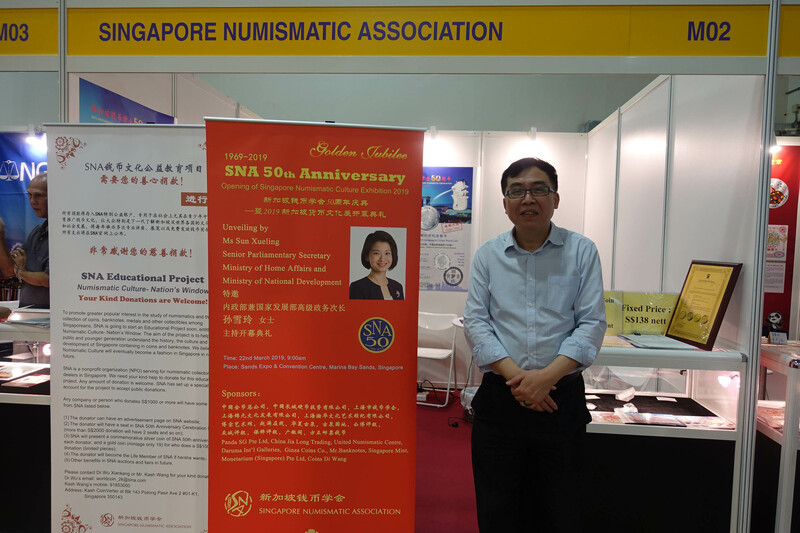 Xiankang Wu, president of the Singapore Numismatic Association, is enjoying the 50th anniversary of his association. Photo: UK. And I would like to apologize to everyone I upset with my Western habit of interrupting a conversation partner. Attention: The rules in Asia are different, and I don’t even want to know how many times during my stay I put my foot it in without even realizing it. Once I had discovered that there are Wikipedia pages dedicated to Japanese and Korean dining etiquette, I decided to inform myself BEFORE the next invitation about what is considered polite. That being said, I was probably lucky that, due to Singapore’s long colonial past, the people there are used to Western faux pas. 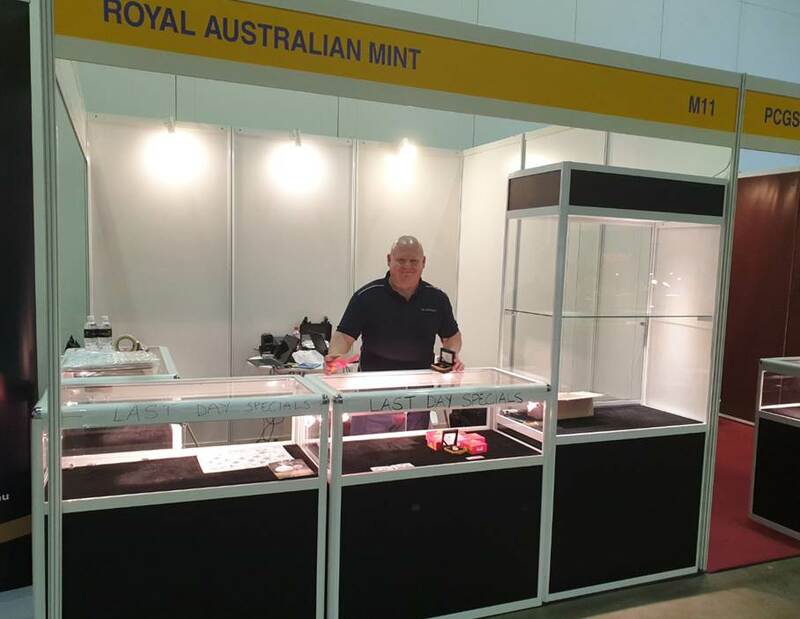 Sold out: The Royal Australian Mint achieved every coin dealer’s dream. Photo: RAM. 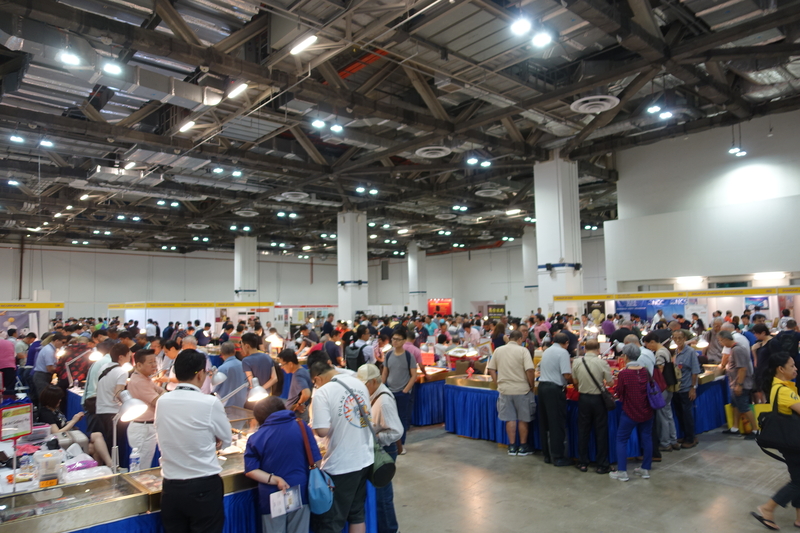 Anyway – I was told that, in earlier years, not only the first, but also the last few hours of a coin fair were incredibly hectic, since every potential buyer then tried to convince the dealer to sell them the item they wanted at a lower price. Friends told me that this hecticness has been steadily decreasing over the last couple of years, as those potential buyers have now learned one of the most important lessons in coin trade. After all, the phrase “while supplies last” exists for a reason. The best coins are sure to be gone first. And sometimes, in the last hour, there is nothing left at all. 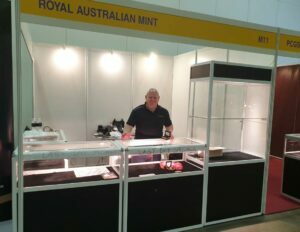 The Royal Australian Mint was so lucky, there was nothing left to pack up and take back home again! 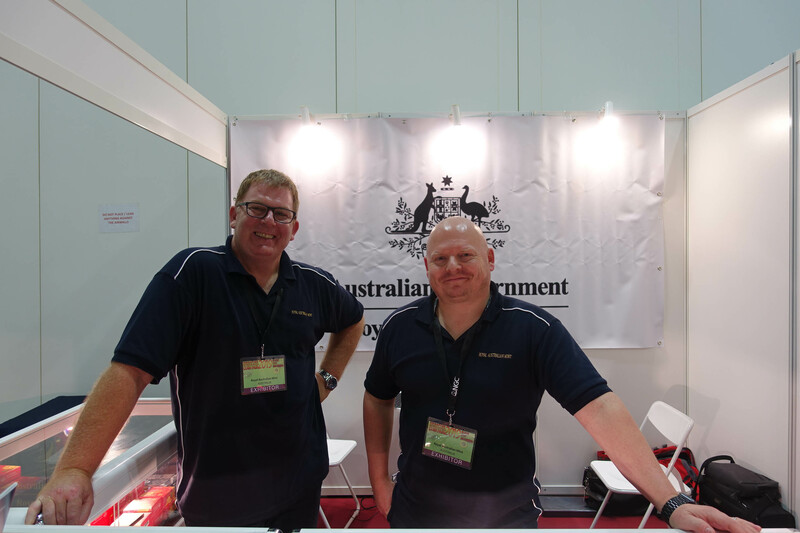 I am quite certain: The Royal Australian Mint team will come back next year to the Singapore International Coin Fair, like so many others I met here in 2019. 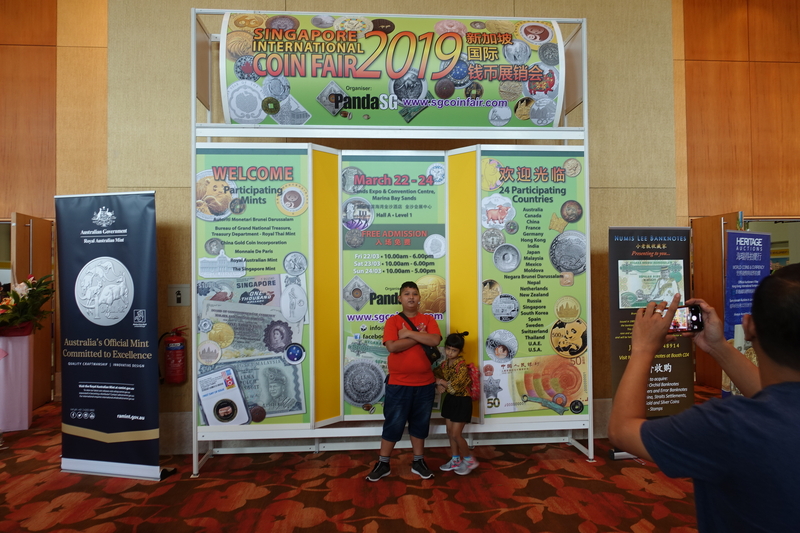 Next year, the Singapore International Coin Fair is celebrating its 10-year anniversary, for which Kitty Quan will come up with some special attractions. Learn more about the Singapore International Coin Fair on their website. 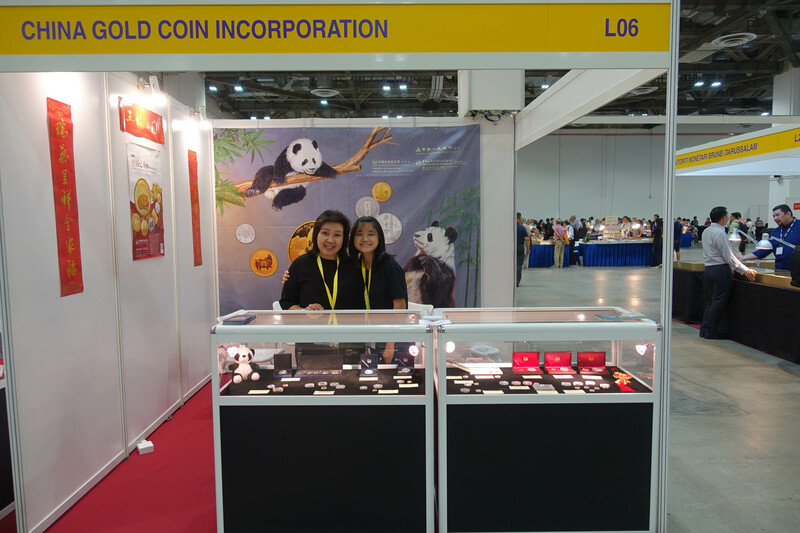 The Coin Couch reported on the Singapore International Coin Fair 2016. And here are some more visual impressions from the Singapore International 2019. 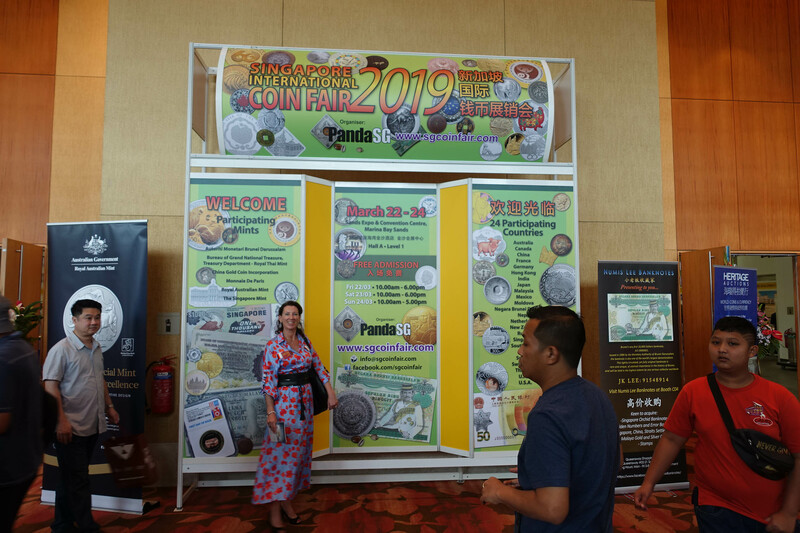 Gitta Künker, CEO of the World Money Fair, visiting the coin fair in her hometown. Photo: UK. The Royal Australian Mint team: already in good humor before everything was sold out. Photo: UK. The coin-dealer twins John and Peter Eccles came to Singapore from New Zealand. By the way, they run separate coin-trade companies: John Eccles in Wellington, and Peter Eccles in Auckland. And now the big question: Who is who? Photo: UK. Lindner products could be bought in Singapore as well. Photo: UK. The cheerful team from the Thai mint. Photo: UK. 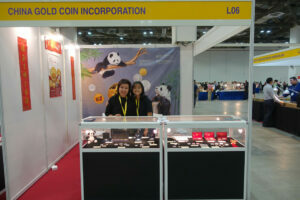 Just as cheerful: the representatives of the China Gold Coin Corporation. Photo: UK. 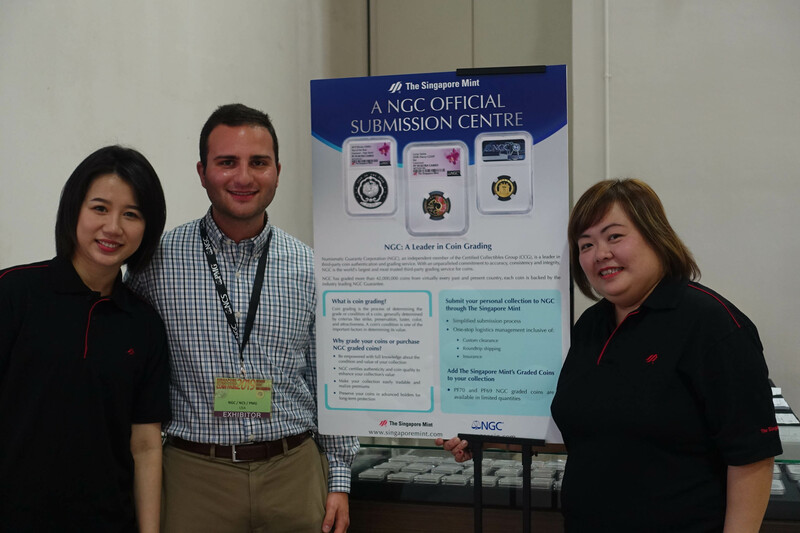 NGC has a new submission center: the Singapore Mint. Two representatives of the mint helping Ronnie Abbazio. Photo: UK.